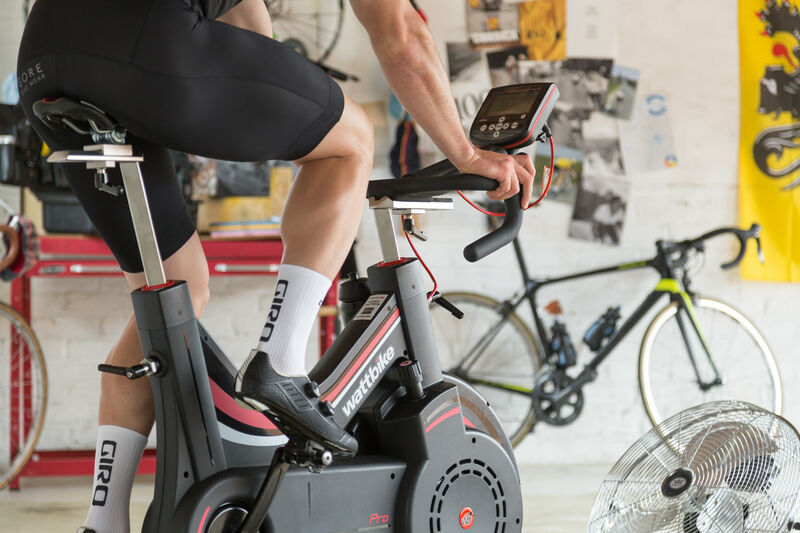 To finish this series of articles from Wattbike we have Haute Route Finisher, coach and former British criterium champion Dean Downing share his tips for Haute Route success. 1. Stay motivated by riding with others. Training for a gruelling event like the Haute Route can seem overwhelming. Find a group of like-minded cyclists and make a regular date to meet. And, always accept an invitation to ride. 2. A short ride is better than no ride. Work, family, DIY, the dog, the pressures are endless. If you’re struggling to find time to train remember that consistency is the key - a 30km spin is better than nothing. 3. Make your training specific, even indoors. The Haute Route is a long-distance event, so if even if do most of your training indoors aim to replicate the climbing as closely as possible - try working at your sweet spot (upper end of Zone 3 or when your conversation is limited to short sentences) for 3 x 10 minutes, progressing to 3 x 15 minutes as you get closer to the event. 4. Test your fitness regularly. Testing your fitness every six weeks is the ideal way of measuring how effective your training has been and it’s a great motivator too. It’s also a good way of establishing your strengths and weaknesses as a rider. A common way to do this is to complete a 20-minute FTP test. 5. There’s no substitute for going up. Whilst a large part of your training for the Haute Route can can be done indoors, the only way to truly replicate the sensation of climbing is to find a hill. Seek them out and ride over and over again. 6. Be a turtle and not a hare. The excitement that comes with riding an event like the Haute Route is a blessing and a curse. Many a rider has come unstuck by emptying the tank on day one. But, as with all multi-day events, being disciplined and in control of your riding wins out in the end. Practise holding back a little on your training rides and leaving something in that tank. 7. Learn how to descend by riding on the flat. What goes up must come down, especially on the Haute Route. Riding and cornering downhill takes practice and confidence. Start by riding through corners on the flat, notice how you approach the bend, when to brake - before not during and with both brakes - and how you ride out of the corner. Try to replicate this on the hills where you train. 8. Become a mindful rider. Cycling is not all about how fast you can go, it’s also about enjoying our surroundings and having fun. Being mindful is about staying in the moment and noticing how you ride. Some studies on professional cyclists have found that being mindful can help with stressful situations on the bike - like being faced with a 21km climb up Mont Ventoux. 9. Know your bike. Buying a new bike the week before an event is a recipe for disaster. It takes several hundred kms of riding to feel comfortable on a bicycle and each steed has its own DNA. Understanding how your bike handles, corners and brakes will help you feel confident on the event. 10. Practice your nutritional strategy. Carbohydrates play an important role in fuelling the long, steady climbs you’ll encounter on the Haute Route. Aim to consume 40-60g of carbohydrates per hour when you ride and time it so that you eat on the flat or the descents, and use energy drinks and energy gels rather than solid food – chewing a bar when you’re ‘in the red’ is not a pretty sight.